British Prime Minister Theresa May has arrived at the EU summit in Brussels – just a day after her own parliament snatched away control of the Brexit process. Eleven members of May’s Conservative party voted with the opposition to give parliament the power to reject any final Brexit agreement. “I’m disappointed with the amendment but acutally the EU withdrawal bill is making good progress through the House of Commons,” May told reporters as she arrived at the European summit in Brussels. “And we are on course to deliver on Brexit, and if you remember last week President Juncker said that sufficient progress has been made to move into phase two of our negotiation, yesterday the European parliament overwhelmingly voted to accept that recommendation too and I am looking forward to discussing that special partnership for the future”. Nonetheless, it’s not lost on May’s European colleagues that whatever discusses with the other leaders, she’s no longer the final arbiter when it comes to Brexit negotiations. “As soon as she negotiates something she will need to go back to London to get an approval from the parlimant and this is not going to make her life easier,” said Xavier Bettelm, Prime minister of Luxembourg. “But this does not change anything from the agenda, it makes just it more difficult for the UK government”. 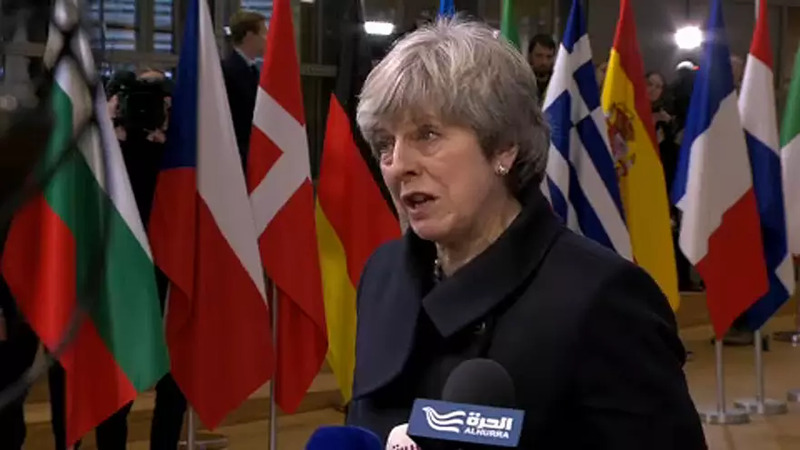 May says she still plans to deliver Brexit despite her recent defeat but she faces a new vote next week – this time on fixing the date of Britain’s final departure from the European bloc. Whether she’ll risk going ahead with it now that Conservative rebels have landed a blow remains to be seen. For now, European leaders are expected to move Brexit talks into a second phase when they can widen to include all-important trade negotiations.